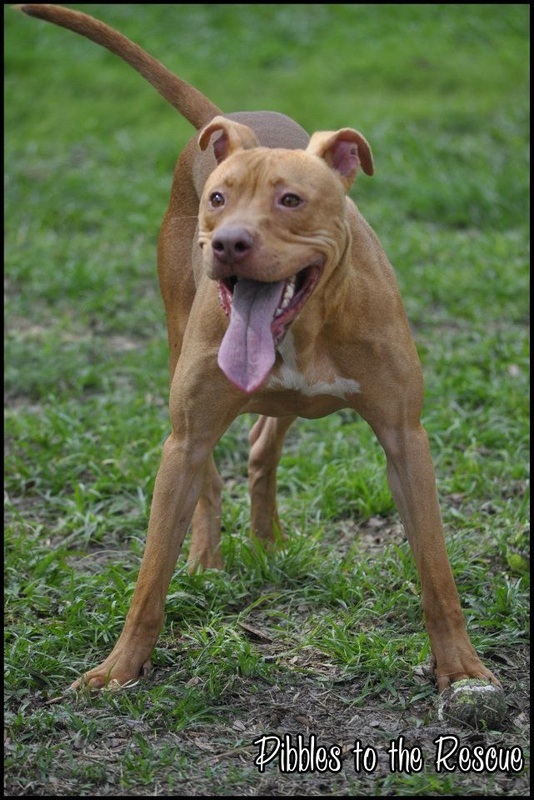 Cocoa Beans came into HCAS as a puppy, grew up in foster care with other dogs in her foster home but something went wrong. 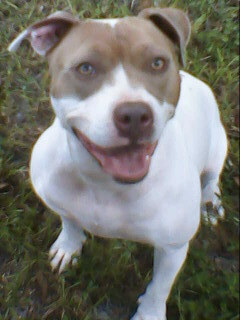 Cocoa Beans came to Pibbles when she was about 1.5 years old. Frustrated, confused, angry, out of control. It took her about a year just to trust again but then... she picked a sponsor, Pongo. Pongo changed her life, then she met Darla and before we knew it she was a pack member. It was only with the help of our whole pack that over the next couple years Cocoa Beans found her way. Today, Cocoa Beans is mostly a dog's dog and while she appreciates most people she meets, she still gets spooked sometimes and she is not trusting of kids. Pibbles has been doing fundraisers and stuff over the last year to raise money to have Cocoa's knee fixed but when we went to Blue Pearl to have the surgery, we found out both knees were bad and she had to have them both done. Pibbles was able to reserve the surgery with the money we had raised so far but we still have a balance to pay and Cocoa is not yet out of the hospital. Please consider a charitable dontation towards the care of Cocoa Beans so she can heal and begin the next chapter in her life... The Furever Home. To help sponsor Cocoa Beans, click the DONATE button. You will receive a charitable donation receipt via paypal. These are our adopt-a-bulls. Looking for something more pint-sized? Check out peas and carrots! So, who is our next adoptable project? Homer. 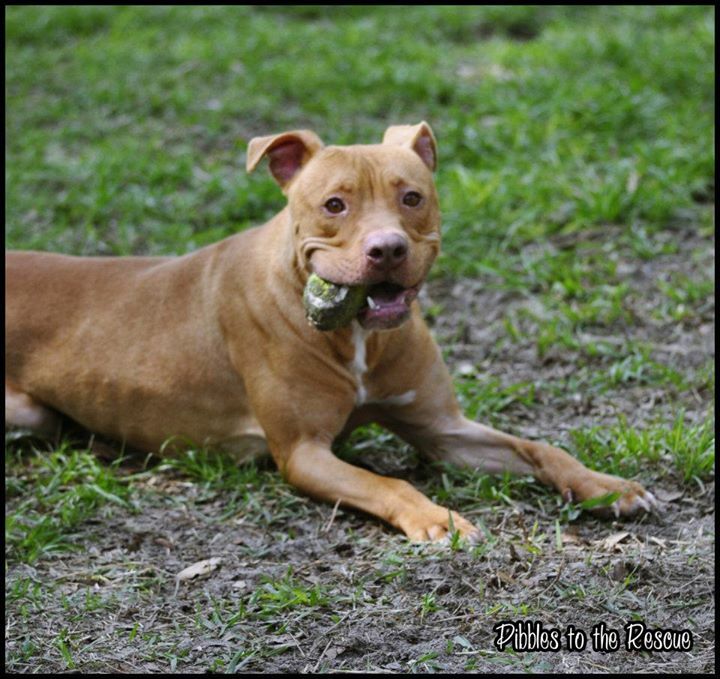 In November 2011 Homer was pulled from Polk county for Pibbles to the Rescue. 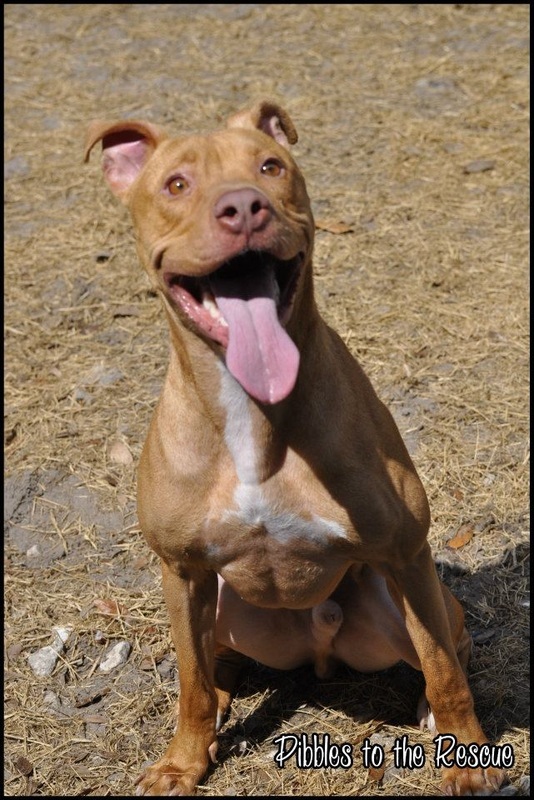 He originally came to us with severe kennel flu, emaciated and lacking in any obedience or socialization. After 4 months of being in the rescue, he finally reached 50 pounds and was free of any cooties so we took him down to blue pearl to be a blood donor. That was when we discovered he was heartworm positive. He was going through the slow kill method and taken out of socialization to keep him calm but about 4 months later he collapsed! After a long 6 month wait and special THANKS to some help from RUGAZ Rescue, Homer received a critical treatment for his heartworms. Just 3 short months later Homer is now heartworm negative!!! Homer shows strong drive and thrill for the frisbee, he has resumed his training for toss & fetch and is excelling in his training. He is currently in rehab for socialization and learning fast with Shadow as his sponsor. Homer now has 10 dogs in his current pack (which includes PC and Alumni Mayday); he is still incredibly excited about PC but trying really hard to accept her as just a dog in the pack. To help sponsor Homer, click the DONATE button.